When talking to my friend the other day, I mentioned that I’ve never quite been a fan of needles. I won’t faint when I see one or panic when I need to get one, but I just don’t like that pinching feeling. After admitting this, he asked me a rather strange question. “What are you more scared of: a heart attack or needles?” he asked. My friend went on to explain how the Ancient Chinese practice of acupuncture, which uses strategically placed needles to deliver natural health benefits, can help people suffering from hypertension, a major cause of heart attacks. High blood pressure, heart disease, stroke, and myocardial infarctions are major health concerns in America. Heart disease is the leading cause of death and it kills approximately 610,000 Americans every year—that’s roughly one in four deaths. Additionally, approximately 735,000 Americans suffer from heart attacks every year. When your blood pressure is high, you’re at an increased risk of suffering from a heart attack. When your blood pressure is between 140 and 159 (systolic) over 90 and 99 (diastolic), you have stage 1 (or mild) hypertension and your risk for a traumatic heart episode increases. Therefore, keeping your blood pressure below this rate is strongly suggested. To lower blood pressure, health officials recommend maintaining an active lifestyle and eating a heart-healthy diet that is low in refined sugar, salt, processed foods, and high-fat foods. Pharmaceutical medication is also prescribed, but it’s best to keep things natural in my opinion—especially with acupuncture showing such promising results in naturally lowering blood pressure. You see, researchers at the University of California, Irvine conducted tests on 65 people who were diagnosed with hypertension, but weren’t prescribed any form of medication. They were randomly assigned to one of two groups, each of which received electroacupuncture, a practice that uses low-intensity electrical stimulation. One group received the treatment on both sides of the inner wrist and just below each knee, while the other group received treatments along other areas of their arms and legs. The group receiving treatment to their wrists and arms showed some impressive results. Blood pressure rates dropped between six and eight millimeters of mercury for systolic blood pressure and four millimeters of mercury for diastolic blood pressure in 70% of the participants. It might not sound like a lot, but it’s rather notable. Not only did it lower peak blood pressures following treatment, but blood pressures also remained lower for a month and a half following treatment. Electroacupuncture also resulted in two important physiological impacts: it significantly lowered norepinephrine levels that constrict blood vessels, and it increased blood pressure and glucose levels. This discovery has the potential to impact the lives of hundreds of thousands of people with high blood pressure looking for natural treatment options. When combined with a balanced diet and increased physical activity, this ancient Chinese practice has the potential to greatly reduce your risk of all the dangers associated with high blood pressure. 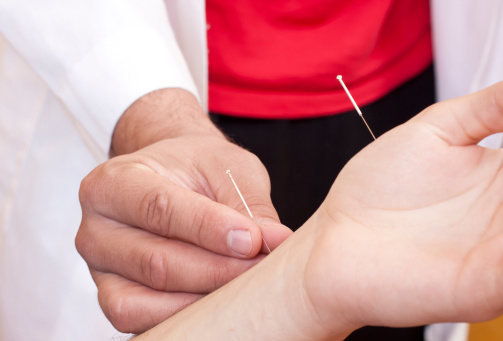 “Hypertensive patients benefit from acupuncture treatments, study finds,” ScienceDaily web site, August 19, 2015; http://www.sciencedaily.com/releases/2015/08/150819120750.htm. “Heart Disease Facts,” The Centers for Disease Control and Prevention web site, August 10, 2015; http://www.cdc.gov/heartdisease/facts.htm.